The article goes on to talk about the need for ongoing transformation, indeed conversion, in our life together as congregations. In our merger [of Emmaus and St. Andrew], we are so fortunate to be experiencing combined numbers and lots of vibrancy. 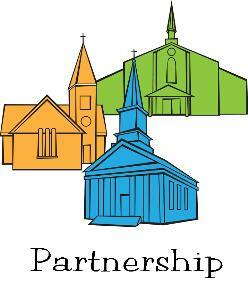 We are also experiencing a renewed sense of mission as we embrace each other’s passions for serving the neighborhood of Emmaus and adopting the commitment to share food from the St. Andrew garden with those less fortunate in the Racine community. In all of this expansion, let us not forget that renewing our spiritual life must undergird all the rest. In addition to going bigger, let’s also go deeper, deeper into the life of the Spirit and into our relationships with each other. We are in process of solving some of our financial problems. But that is no reason to rest on our laurels. Rather, that can free us to pursue more fully the strengthening of our faith as we revitalize our experience of community. There are so many opportunities in activities that already exist for us to be intentional about growing deeper: new worship experiences, hearing new pastors and voices of the laity, meeting and making new friends, chances to talk at the coffee hour, the St. Andrew Bible study on Thursday mornings, the Emmaus educational programs on Wednesday evenings, the combining of committees, the small groups provided by the green team Cool Congregation program, the joining of youth groups, the shared work on mission projects. We can see these as opportunities to share our faith commitments with each other. Let’s use all of these as fresh opportunities to learn more about our faith, to renew our prayer life and our love of God, to deepen our love for one another, to care for those among us who are ill or troubled or struggling, and together to find new ways to care for God’s creation. Let’s be intentional about talking with each other about what matters most to us in our effort to find our renewed identity as people of God in this corner of the world.